Joshua Beard, a GIS Supervisor at Marathon Pipeline has been working in information technology (IT) and geographic information systems (GIS) for the past ten years. Upon completing his undergraduate degree in computer sciences from the University of Findlay, Josh went on to work for Marathon as an Advanced IT Systems Integrator. Over the years, Josh’s role has transformed from IT to the GIS side of Marathon Pipeline; he now supervises employees, contractors and interns within the GIS realm. As mentioned in a previous article, Josh Beard and Sean Donegan (CEO, Satelytics) presented a session called “Pursuing ‘Constant Vigilance’” at Pipeline Week in Houston, TX earlier this month. Their presentation discussed the need for constant vigilance and automated pipeline right-of-way monitoring in the oil and gas industry. Beard collaborated with Satelytics CEO Sean Donegan in this presentation to demonstrate the effectiveness of Satelytics. When asked what the benefits of the presentation were, Josh said, “this new technology allows my team and me to automate analysis tasks; we get info quicker which allows us to act on it.” In addition, Josh noted how Satelytics is forward thinking—Satelytics builds big data tools, software, and algorithms which will replace outdated methods used by the entire pipeline industry. This new technology allows my team and me to automate analysis tasks; we get info quicker which allows us to act on it. Josh and his team of GIS experts have been acquiring aerial photos every three to five years; their contracted airplanes captured photo imagery of 6,000 miles of pipeline across the United States. Once these images were captured, the team had to manually peruse and find images with areas of high risk; the focus was on population growth. 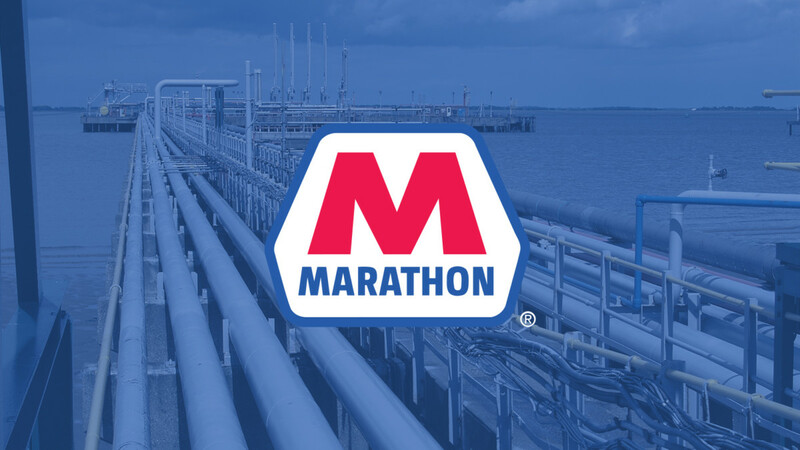 Marathon pursued a program to reliably identify areas of encroachment on top of pipelines using manual labor. With the adoption of the Satelytics, these processes that were once cumbersome, are now automated which saves time and money. The automation provides more immediate access to important information, enabling Marathon to act more swiftly thereby avoiding environmental problems and saving money. As the two companies progress, Josh and his team are excited for what’s next in regards to Satelytics. “We hope to soon have daily/hourly monitoring with Satelytics. We want to see the data nanosatellites provide through instant alerts to critical change detection,” said Josh. Through fine tuning the established relationship and continuing to update the processes, we see many potential opportunities such as leak detection and damage prevention.